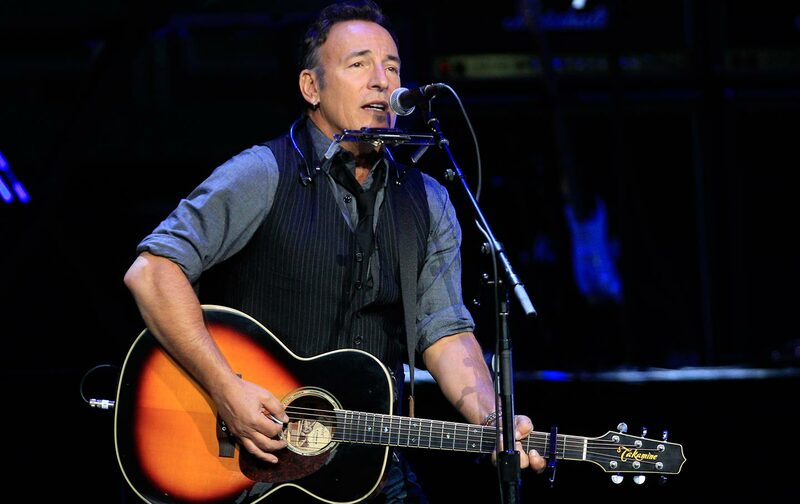 A Plea to Bruce Springsteen: Do a Show for Hillary Clinton! You’ve campaigned in the last three presidential elections. Please don’t leave our first female nominee in the arena alone. I have a picture of me and Bruce Springsteen on the lock screen of my phone. It’s from September, when he gave a great gift to his fans by meeting a lucky 1,200 of us (for 15 soulful seconds each) in Philadelphia, during his tour promoting his beautiful memoir Born to Run. I love Springsteen more than I do anyone else outside my family and close friends (and they all know that). I’ve been a fan for more than 40 years. I love his music, which has helped me learn about life, love, loss, and redemption. I love his political values. Now in this election cycle, in this long slow march to perhaps electing our first female president, I trade texts with my lady Springsteen posse—we’ve traveled the country, and even beyond, together to see him—as we see more musicians announce they’re doing concerts for Hillary Clinton—Jay-Z, Jennifer Lopez, Ne-Yo, Steve Aoki, Cher, and of course Katy Perry—and his name is not among them. To say we are heartbroken is not exaggerating. It hurts. The country has a chance to make history by electing not just a woman but the most progressive major party candidate of our lifetimes—despite the bizarrely timed interference of FBI director James Comey and Donald Trump’s cavalcade of misogyny. But the man we love—the man who campaigned for John Forbes Kerry, God bless him—has so far stayed on the sidelines. I can confirm that he’s been approached. I can understand some of Springsteen’s hesitation, whether it’s that he worries about becoming ubiquitous on the Democratic campaign trail, or losing his influence with his fan base, or even alienating them. But having acknowledged that he first appeared for Kerry “because I felt the country was in crisis, which it certainly is right now,” he forces the question: Bruce, where are you right now? There was something poignant to me, and I hope this isn’t sexist, to hear Obama express an anguish that many of us feel seeing Clinton sometimes alone: on the debate stage with a menacing Donald Trump looming behind her; alone as Wikileaks spreads her campaign manager’s stolen e-mails, alone as Comey violates FBI protocol to slime her with news of perhaps more suspicious e-mail. She’s been more exposed to the media than any politician in American history, but her enemies still want her stripped bare. By many measures, Born to Run is for us. It cracks the macho exterior and really pulls out the guts of Bruce’s thinking on identity, on his own manhood. It reveals an appreciation and respect for women, and questions about men and how they’re made, that many of us have long suspected underpinned his music. I felt the same way Traister did about the book. But now I need to see that empathy for women during this horrific, misogynist presidential campaign. The country that we carry in our hearts—the democracy in which women are equal partners—is still waiting. Please, Bruce, don’t let us down.